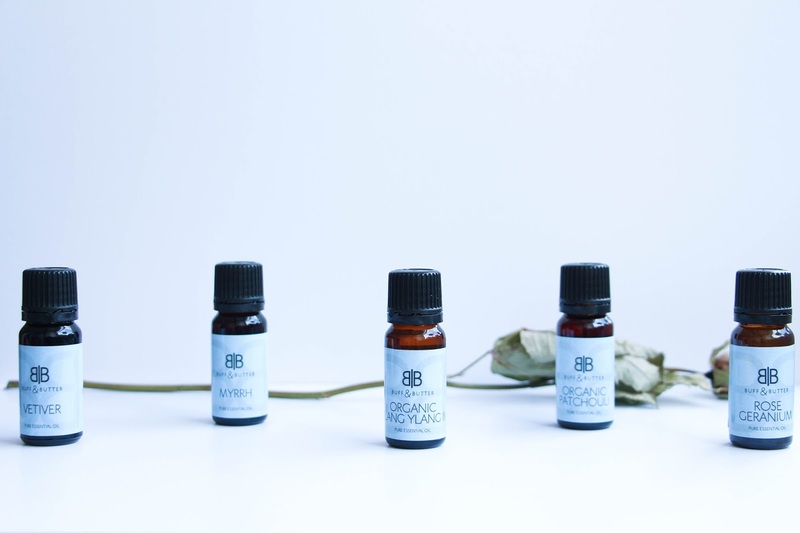 Oils are something I love to try and recently I had the chance of trying out the Buff and Butter Pure Essential Oils* so today I thought I would tell you my thoughts on them. The Buff & Butter Pure Essential Oils can be used in many different ways as aromatherapy from inhalation to massage or immersion. I have five different oils that have various purposes but mostly the scents help you to relax and get rid of all those stressful energies. When used in massages or baths, they can also be aphrodisiac but I have actually not tried them in that way just yet. I have been trying them just by placing them in a diffuser an honestly it just spreads the scent over the house so quickly. From all the five oils that I got, all of them have a very strong scent and so you do not need a lot to fill your house with it. I was silly and did not read the instructions and so I put a lot more then I needed but you can just dissolve it with either water or a base oil in the diffuser. A few drops – 2 to 3 – will honestly last a very long time and that is also why it took me a while to try them all as I did not want to mix the scents at all. I loved trying these and they are great to always have a lovely scent around the house without a lot of effort really. I just wish I could try them out in store as I am very particular with scents and so getting things like this online is always tricky and there can always be a one odd one that you might not like the scent. One of my favourites is the Rose Geranium, the first one I have ever tried. I was silly enough to put too much in the diffuser and it left such a strong scent that I could not cope with it at times but once it started fading, it left such a light, relaxing smell that I absolutely adore. If you are one of those persons that loves pure, organic oils and lovely scents around your house, it is worth trying the Buff & Butter Pure Essential Oils. They are very affordable and you can choose from different sizes, starting with 10 ml bottles which were the ones that I got. If you visit the Buff & Butter website, you will find many more with very accurate descriptions. They also have floral waters that are probably amazing and candle making supplies if you are a fan of that. Here is a list of the five oils I got from Buff & Butter. *This post contains PR samples but all opinions are my own.